The School of Business is proud to create a supportive environment for our students. This section is your home base for academic resources, forms, services, technical support, job information, news and events. 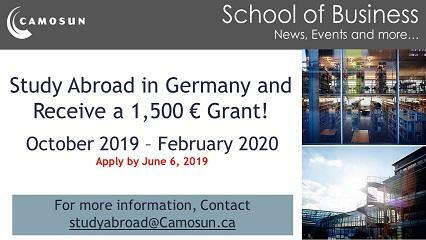 Study Abroad in Germany and Receive a 1,500€ grant! Apply for a semester abroad at Technische Hochschule Ingolstadt and you can receive a 1,500€ grant. Study dates are October 2019-February 2020. 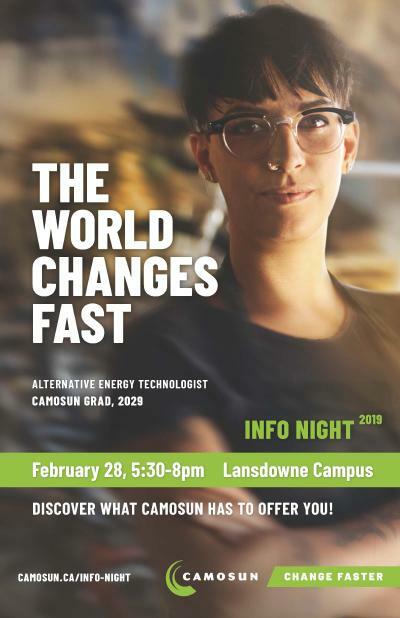 The successful applicant will provide a report about their experience to Camosun College and Technische Hochschule Ingolstadt at the end of their study period. Additional scholarships are available. 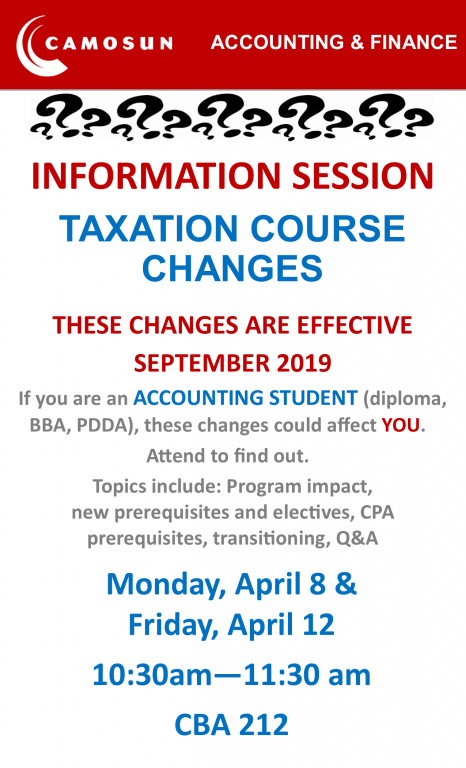 Camosun's taxation courses are changing significantly effective September 2019. 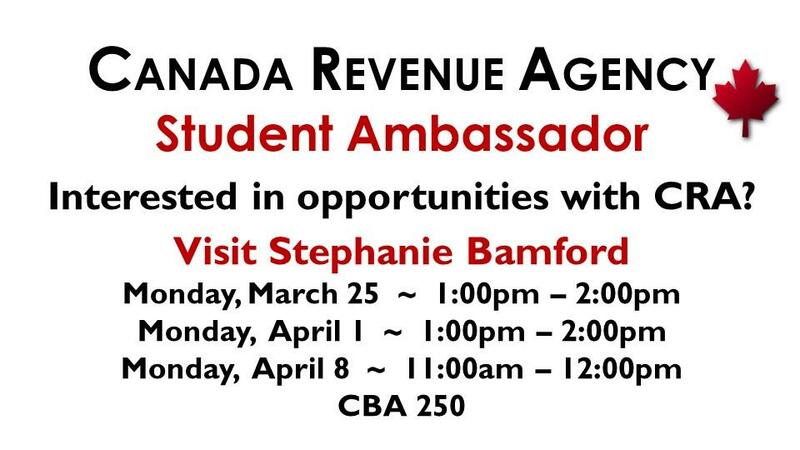 Interested in opportunities with CRA? Welcomed by smiling students, guests to Thursday night ‘Pub Nights’ at Lansdowne’s Dunlop House experience a dynamic “showcase of student talent,” says Hospitality Management Program Leader Stephen Scott. The department of Economics, Statistics and University Transfer Business presents "Canada-U.S. 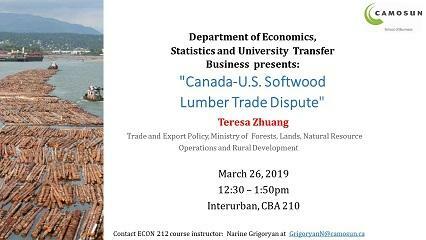 Softwood Lumber Trade Dispute" with Teresa Zhuang. Topics of discussion will include Trade and Export Policy, Ministry of Forests, Lands, Natural Resource Operations and Rural Development. 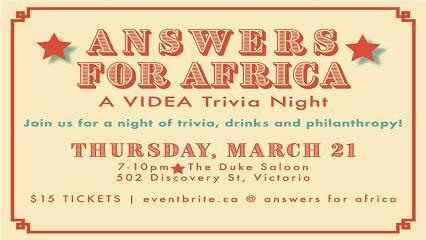 Join us on March 21 at The Duke Saloon for a night of trivia, drinks and philanthropy! We are 4th-year Business Administration Marketing students from Camosun College working in partnership with VIDEA to help increase awareness and raise funds to send youth from rural Zambian communities to the Rural Youth Exposure Conference in the capital of Zambia, Lusaka. Students from Camosun College's School of Business are partnering with local non-profit organization, VIDEA, to put the FUN, in Fundraising! 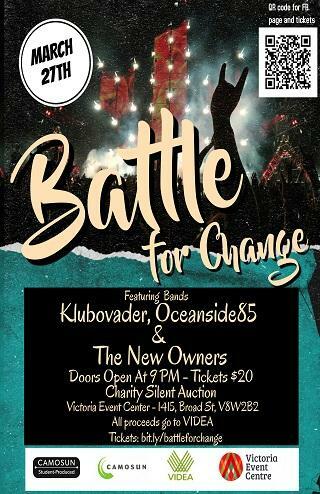 For ONE night only, we invite you to join us for our charity fundraising event, Battle for Change. 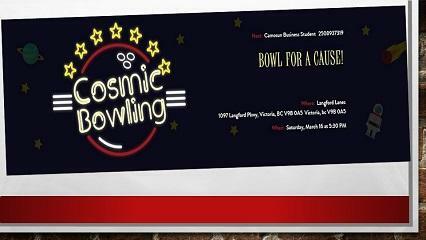 Camosun Business Students have organized fundraising bowling event for Non-profit organization “VIDEA” to help increase awareness and raise funds to send youth from rural Zambian communities to the Rural Youth Exposure Conference in the capital of Zambia, Lusaka. Based in Victoria for 40 years, VIDEA is one of Canada’s oldest International Development Agencies with a goal to “inspire thought and action on global issues”. Camosun College students have partnered with VIDEA, a local organization that works towards ending global poverty and creating a more equitable world. 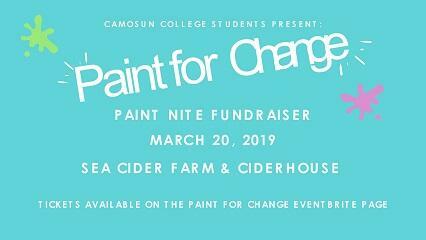 Paint for Change is a fundraising event. 100% of the money raised will go towards an annual conference for rural youth. For more information, please visit the event page here. 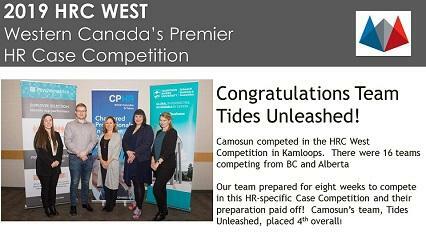 This past weekend, a team of HR students from Camosun competed in the HRC West Competition in Kamloops. There were teams competing from BC and Alberta – 16 teams in total. Our team had been preparing for eight weeks to compete in this HR-specific Case Competition and their preparation paid off! Camosun’s team, Tides Unleashed, placed 4th overall. The schools with teams in the finals were NAIT, UBC, Mt Royal University and Camosun! A huge congratulations to team Tides Unleashed! 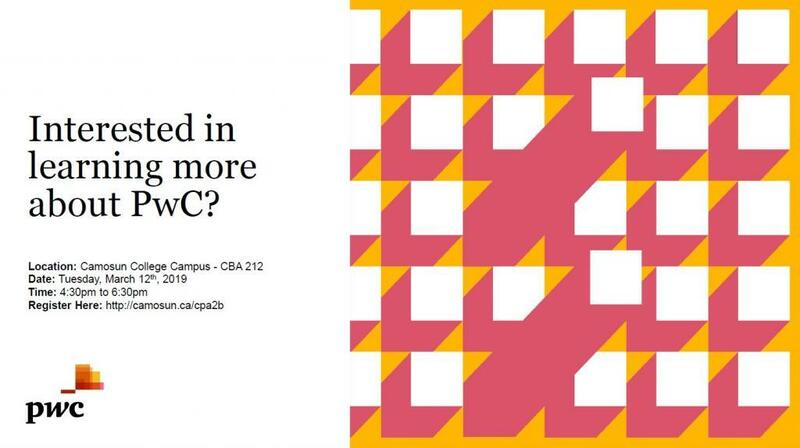 Interested in learning more about PwC? 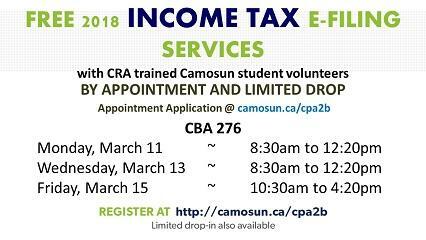 Have your 2018 taxes prepared by Camosun Accounting Students for free! Our student volunteers are CRA trained and supervised by Chartered Professional Accountants. Services are available on March 11th, 13th, and 15th at the Interurban Campus, in the Centre for Business and Access, Room 276. We encourage students to complete an appointment application. Drop in appointments are limited. 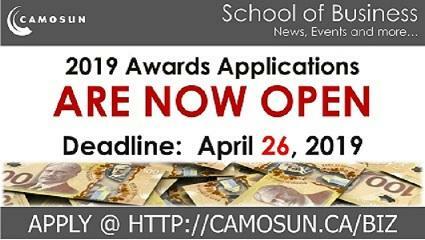 The School of Business in partnership with the Camosun College Foundation offer a wide variety of awards and bursaries to our outstanding students. Awards and Bursaries are available to view on the School of Business website. We encourage all interested students to apply! Explore over 160 programs and get the answers you need to make the decision that’s right for you! You’ll have the chance to attend information sessions, talk to faculty, staff, and current students, get an interactive experience with some of our programs, and find out more about the many services and supports available. Free parking and snacks are available during the event. 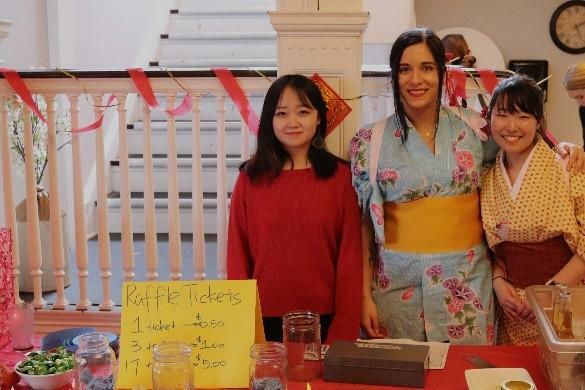 A group of Camosun Hospitality Management students are volunteering to organize this year’s Victoria Tea Festival Revival, Nootka Court, February 9. We provide academic resources, School of Business forms, links to important college services, technical support and more.